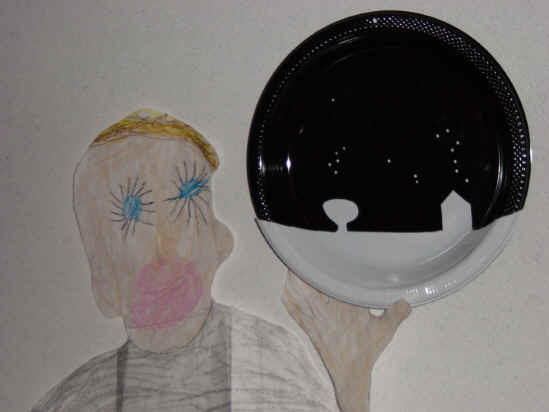 Flat Stanley prepares for the rare Transit of Venus by using a proper solar filter with his transit activity. 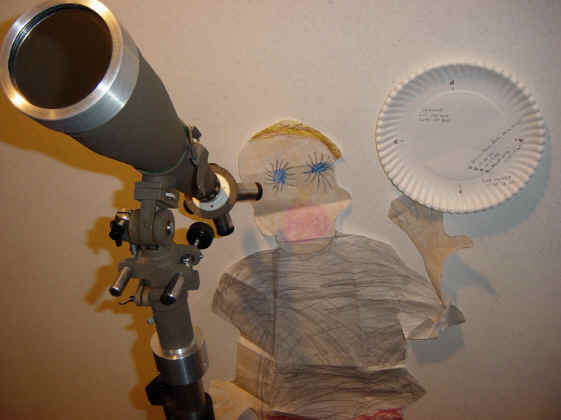 Flat Stanley tracks the movement of Venus across the face of the sun with his transit of Venus activity. 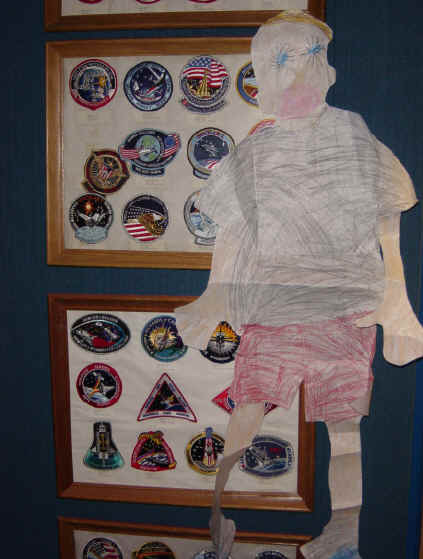 Flat Stanley looks at NASA mission patches before making his own at the Mission Patch activity. 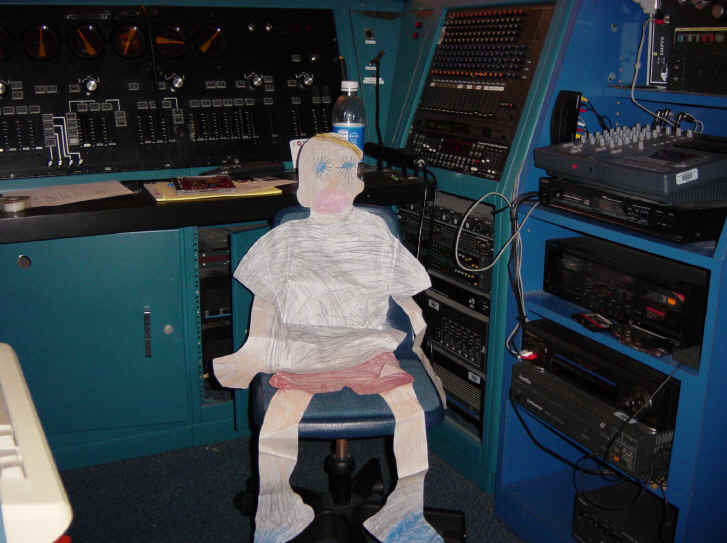 Flat Stanley runs a program from the console at the Penn-Harris-Madison Planetarium in Mishawaka, IN. 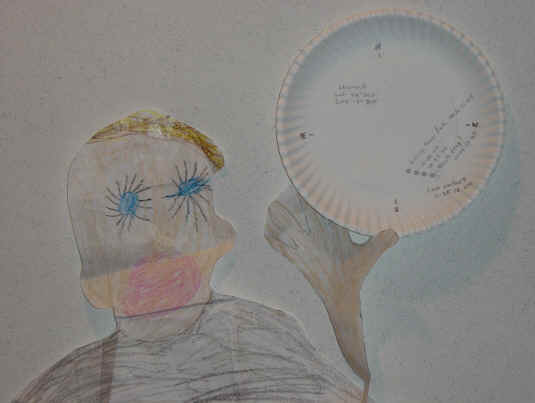 Flat Stanley celebrates the new year by setting his Platisphere to January 1 at midnight. 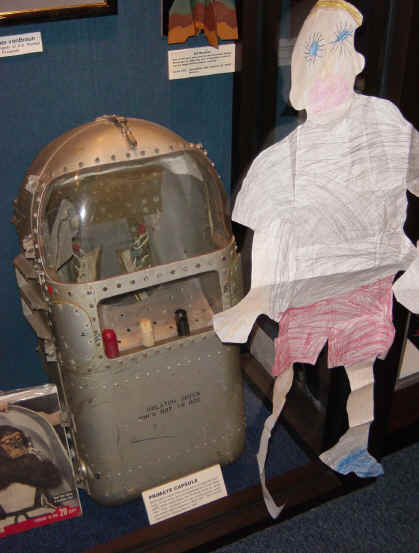 Flat Stanley sizes up the capsule in which a monkey traveled into space before man. 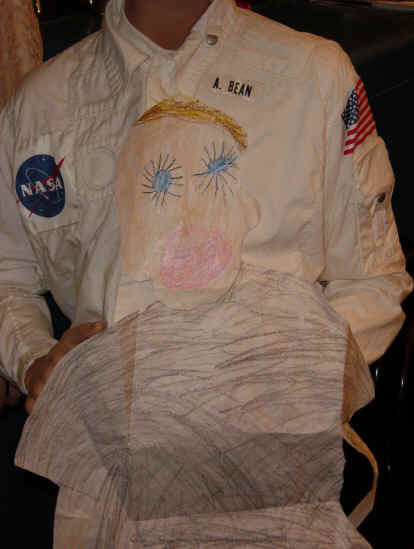 Flat Stanley delights in seeing astronaut Alan Bean's flight suit on display at the Penn-Harris-Madison Planetarium in Mishawaka, IN. Flat Stanley visits and is introduced at the St. Joseph County (Indiana) County Council meeting on March 8, 2005. 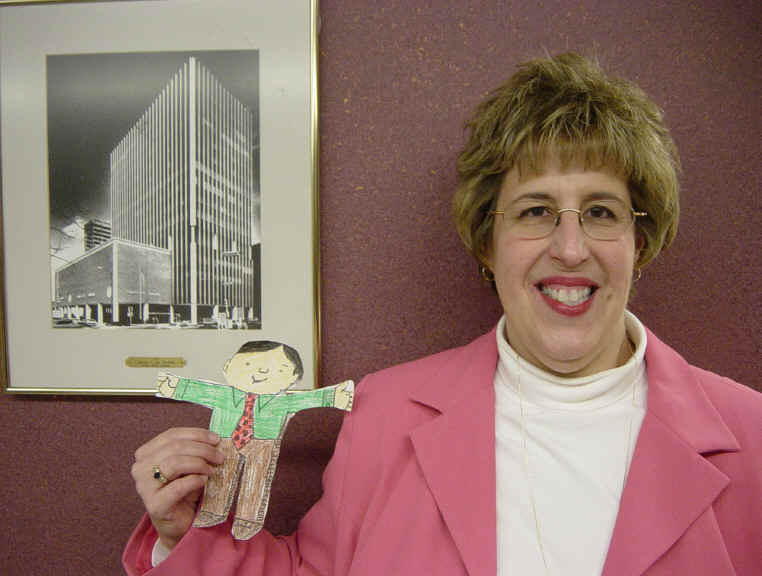 Shown here with his host, District 3 Commissioner Cynthia Bodle, Flat Stanley stands tall next to a picture of the City-County Building in South Bend, IN. At that evening's County Council meeting, a "privilege of the floor" statement addressed lighting issues and a proposed lighting ordinance. Click logo to link to Flat Stanley Project.